Indoctrinated into the church as a child while living with her mother and sister in New York, Remini eventually moved to Los Angeles, where her dreams of becoming an actress and advancing Scientology's causes grew increasingly intertwined. As an adult, she found the success she'd worked so hard for and with it a prominent place in the hierarchy of celebrity Scientologists alongside people such as Tom Cruise, Scientology's most high-profile adherent. Remini spent time directly with Cruise and was included among the guests at his 2006 wedding to Katie Holmes. But when she began to raise questions about some of the church's actions, she found herself a target. In the end she was declared by the church to be a threat to their organization and therefore a "Suppressive Person", and, as a result, all of her fellow parishioners - including members of her own family - were told to disconnect from her. Forever. I'm going to start by saying I have probably read 2 non-fiction books in my life, it's really not my thing but after watching the A & E show Scientology: The Aftermath, I knew I needed to hear Leah's story. Besides the fact the Scientology is unbelievable, shocking and complete BS which I am so glad to see people speaking out about, I have to say this book was so compelling. Learning the ins & outs of Scientology was like watching a train wreck you just can't look away from. 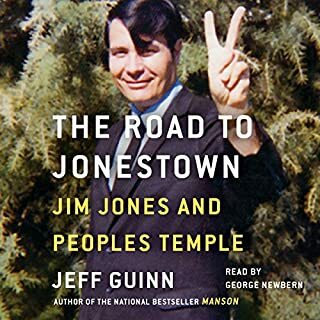 When I started the TV series & this book I didn't know much about the cult but after listening to this book I can actually understand a little how someone who was raised in Scientology could follow along. I still can't understand how grown adults going into it can fall for this scam. I loved the raw honesty Leah gives in her story. It doesn't seem like she sugar coats much and I loved that even before she knew it, she was questioning the "church". By keeping it away from her home, her daughter and her career deep down she was already leery of letting Scientology take over her life. I love her attitude and how if she has a question she asks. I really hope what she is doing helps many people to realize they are being fooled and get out! I have to say until this book, I never thought author narration was a good idea but now I know that its perfect for non-fiction. This would have been a completely different book to me if she had not narrated it. She was telling us her story so I needed to hear it from her. No worries about emotions feeling realistic because she lived this so her emotions are real! I loved her on TV before this book but now I am in awe of her strength and that she is trying to help others no matter the backlash! Also Big Love to her family & friends who stood by her, I can't imagine it was always easy but following your heart when it's not easy is courageous! This book is fascinating and funny! Fantastic! 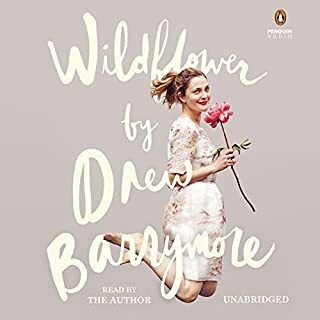 Where does Troublemaker rank among all the audiobooks you’ve listened to so far? This is in the top 5 of the audiobooks I have listened. What was one of the most memorable moments of Troublemaker? The Tom and Katie wedding and the way Leah describes the hypocrisy of the church members. The way she is followed around and held responsible for just switching seats. Lol! Her narration is priceless. No one else could make this book come alive like Leah. Her personal story comes through with every inflection. Just her standing up for herself. I loved this book! I was NOT a Leah Remini fan. Never watched the King of Queens. I have been introduced to a wonderful writer and very authentic person. I have become a big fan through the few hours of listening to this book. You go Leah! 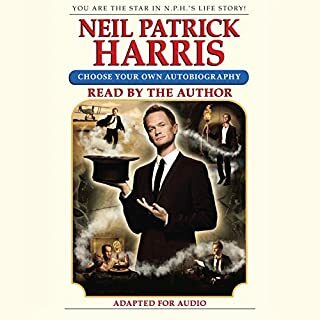 I listen to a lot of audio books and this is definitely one of my favorites! Leah's delivery of the story is highly entertaining- it kept my attention the entire time. 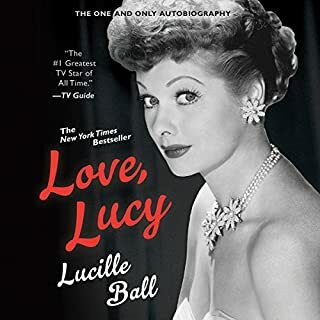 I had low expectations of this book because I'm usually not into celebrity memoirs, but this exceeded my expectations. Bravo Leah!!! Just got finished with this and I'm SUPER disappointed. I've so enjoyed listening to Leah over these past few days and will miss her. Her narrative style is warm, relatable, and funny. This is a story that needed to be told and, if you're at all curious about Scientology, you'll enjoy reading it. It feels honest and genuine. Loved it. Love her. Wish it were longer. I am surprising myself by saying this, but I think it's at number 1. I enjoyed this listen immensely. What other book might you compare Troublemaker to and why? I don't think I have another book to compare it to. This book made me laugh and cry several times. It is such a complex and touching book read beautifully by the author. I really loved it. I am already starting my second listen. 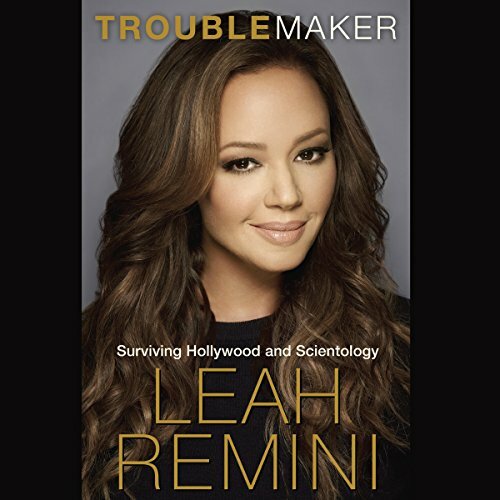 I am now a big Leah Remini fan and I really didn't know anything about her before I read this book. She's an incredibly strong, smart, and emotional woman. Not to mention she's hilarious. I highly recommend this book. It was a joy to hear her read it. LOVED this book... which was a surprise! I initially hesitated on purchasing this book because, although I am fascinated by Scientology I generally listen to a drier sort of non-fiction and I'm not really into sit-com stars or celebrity. BUT... I ended up LOVING this book and Remini's narration. It was so refreshing to experience an entirely personal narrative on this subject that I could not stop listening and blew through it in two days. Her storytelling and performance are both superb and, at times, hilarious - while listening to her account of adjusting to motherhood I was riding the bus home and had such a hard time suppressing my laughter that I ended up crying. Definitely an impressive listen. Remini's story of perseverance in such a WTF-worthy situation is both inspiring and enjoyable. What made the experience of listening to Troublemaker the most enjoyable? Leah Remini has a fascinating story to tell. She's seen Scientology from the Sea Org side and from the Hollywood fame side - and the perspectives have stark differences to take into consideration. Hollywood stars, given the pampered princess treatment could conceivably be completely unaware of the abuses of those without privilege. The fact that the author has such a wide range of knowledge and experience within this group is very interesting and enlightening for anyone who wants to know more about Scientology. Going Clear is the obvious choice, which I listened to also by way of Audible. It's yet another enlightening viewpoint on Scientology and what it's like to become disillusioned enough to "blow". Have you listened to any of Leah Remini’s other performances before? How does this one compare? Nope. Although I'm delighted by her work on King of Queens. Such a talent. Is there anything this woman can't do? There are lots of chuckles in this book and Leah Remini does a fantastic job of narrating it. I was uncertain going into it that narrating would be her thing ... but boy howdy! She did a fantastic job! I laughed out loud at many moments throughout the book. What I found admirable in Leah's telling of her story is that she is often self-deprecating with what sounded to be a real and raw humility. She IS raw, she's a tell-it-like-it-is kind of gal and this is so appealing that I really didn't want the book to end. Clearly, leaving Scientology after so many years is a gut-wrenching experience. I found myself relating to bits and pieces as I too, have left my religion. But our similarities are very few. She was subjected to so much abusive, childish behavior ... it's really unfathomable. It's weird to feel such a sense of pride over someone I don't know at all ... but I am really proud of Leah for plowing through this thing up to this point. Clearly, one doesn't 'heal' overnight from having spent 30 years in a religion, but she's clearly taking steps to move forward every day, and as she puts it, learning to think in a new way. I hope she writes another book 5 or 6 years from now as her journey progresses. We could learn much as this new world unfolds before her. I have read other books about Scientology, but this was the first by a Hollywood celebrity. Leah Remini gives us a fascinating account of her mother's descent into the cult and the effects on the family. As an adult, Leah finally understands what is really going on and shows us what happens when she tries to become independent and think for herself. WOW Best Bio Ive ever read! Would you listen to Troublemaker again? Why? None... its a one of a kind! Her describing the 1st week home after having her daughter was so relatible and hysterical! I loved Leah before but now I love her even more. Shes so real and unapologic for it !!! love it! amazing story! Awesome and easy read. A bit more swear words them I would like. .but this is a book I would re-listen to often.